If you multiply the cost of replacing each document you lose or misplace, to the additional cost of multiple copies of that very same document, the losses to your bottom line at the end of the year can be substantial. By converting your documents to a digital record format you can simultaneously retrieve required documents and perform customer service and work functions instantaneously providing an increase in productivity that will often create an instant return on investment (ROI). Southwest Solutions Group is a leading supplier of state-of-the-art imaging, content management, media storage, and business continuity solutions and services to the private and public business communities. Our clients rely on us to manage their business-critical information contained on any media: paper, computer disks, tapes, optical disks, microfilm or microfiche. Most clients choose the convenience and cost-savings of our service provision model, but we also offer sales and maintenance of equipment and software for in-house solutions. The complexities of conducting business in today's highly regulated, litigation-intensive environment can be overwhelming for many companies to handle internally, but Southwest Solutions' Group customer-focused approach reduces the stress of data integrity, security and regulatory compliance. Southwest Solutions Group core management team members are veterans of the document-imaging marketplace who understand those complexities. We work with clients that range from small businesses to very large corporations, helping them navigate the maze of regulatory issues impacting their content, document and information lifecycles. Our professionals stay on the cutting edge of changes with our industry through membership in ARMA, AIIM, AHIMA, IAPP, MBA and numerous local chapters of these and other organizations. We know that the process of scanning documents can be time-consuming and frustrating. That's why we offer our scanning services either onsite or at our own production facilities. Delegating the process to Southwest Solutions Group saves time, reduces personnel costs, automates processes, saves space, and eliminates the need for investment in digital scanning equipment. Southwest Solutions Group's can convert your existing paper files to digital images and store them on your preferred media. We can scan, index and integrate these images into your existing imaging or legacy system or store them for you in our Vault Storage facilities. Southwest Solutions Group specializes in high-volume document conversion and data capture services on a variety of digital software platforms. 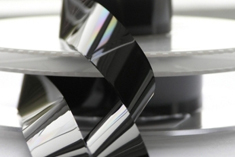 We have the unique ability to create 16mm archival microfilm and digital images. We also offer media conversion services for Microfilm/microfiche, Aperture Cards, Large Format, Media-to-media, and Photostat. 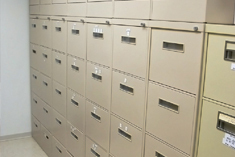 We can preserve the vital records resident on your microfilm while making information highly accessible and useful without compromising the integrity of the media. Our microform conversion services capture the images on the film and turn them into digital files. The physical film can then be stored according to archival guidelines but the digital data can be accessed countless times without the risk of damage to the film or fiche. Not Sure If Your "Image Ready"? Southwest Solutions Group can assist you in developing a digital imaging plan and provide scanning products and document conversion services to implement a turnkey solution or a long term phased approach. As solution integrators we bring long standing strategic partnerships together to provide a imaging solution that fits your needs. We recognize that one size does not fit all and offer a variety of proven state of the art service and technology options. Before you start scanning, let us walk you through a comprehensive checklist of considerations. We can evaluate your current file system and objectives and provide a cohesive plan and turnkey services to complete your project on time and on budget. Contact us today for a no obligation assessment. Protecting patient records, locating information faster, and reducing administrative overhead are a few of the challenges faced by every healthcare provider today. For years, Southwest Solutions Group has been serving the healthcare industry with state-of-the-art technology and exceptional service. Whether your business is a hospital, clinic or small private practice Southwest Solutions Group professionals can help you evaluate your Electronic Health Records (EHR) strategies and design a complete information management solution just for your unique situation. Southwest Solutions Group helps healthcare organizations accelerate billing and collections, simplify HIPAA compliance and improve efficiency and accountability organization-wide. Not every office can convert to a complete digital format. 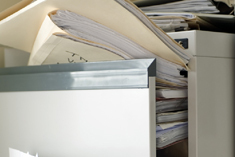 It is critical that you develop a plan prior to embarking on any records management project. More often than not, converting a "messy" paper system will produce a convoluted digital system. Click here to download white paper on "Getting Image Ready". Our experts know medical records inside and out. We help Records Management Departments streamline their processes while maintaining HIPAA compliance. Whether the concern is industrial espionage, Sarbanes-Oxley compliance, or merely the quick and easy retrieval of information, we have an enterprise solution for virtually every business. Southwest Solutions Group provides local, county, state, and federal agencies with the products, services and support to help manage their records efficiently, securely and within the guidelines of numerous local, state and federal mandates. Copyright © 2010-2019 Southwest Solutions Group®, Information Management Solutions Division. All rights reserved.